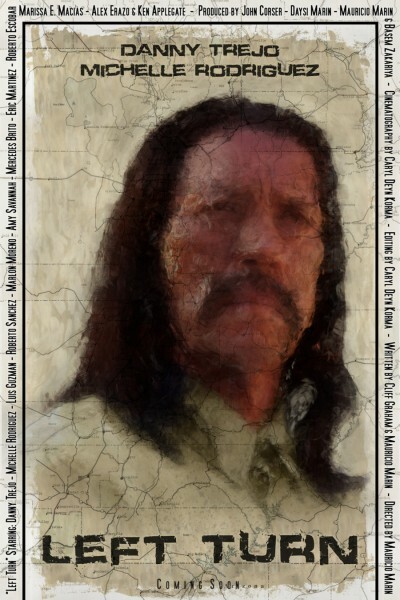 facial lines of Danny Trejo (Samuel Lopez) this is the first in a series of posters for the film “Left Turn”. version to come as I feel this could be fleshed out much more faithfully to Mauricio’s original idea. But, for now v2 will wait as more and different art is to come for “Left Turn”. Painted in Photoshop CS5 in around 50 hours. Because of how quickly I needed to completed this, it is only half sized at 12″ x 18″, 300dpi. 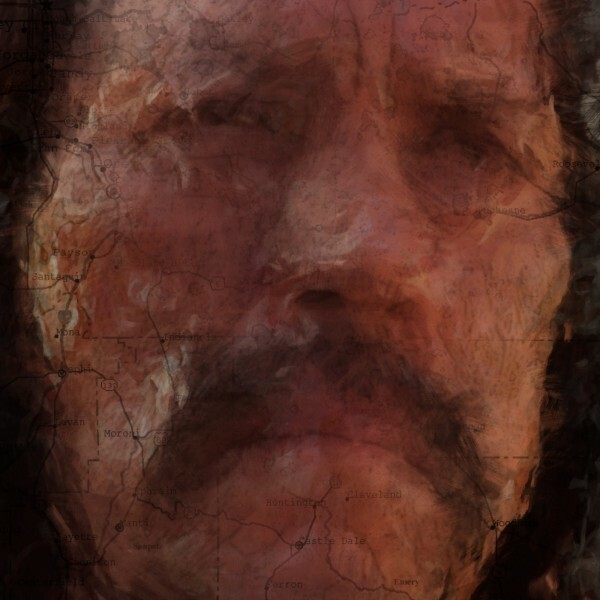 For the initial sketching and layout, I used VFX Workshops Pencil Brush Pack, available here. Mixer brushes but they aren’t very far away from the default setup’s at all. This entry was posted on March 6, 2012. It was filed under 2D CGI, Photoshop, Posters.